If you closely observe the pre-release notes, Salesforce’s Summer ’18 Release has mainly focused on 3 key areas: GDPR, Lightning, and UI enhancements. In this blog post, we are going to highlight few of the insights of Summer ’18 Release. Data protection & privacy regulations have become extremely important in today’s IT world. In Summer ’18 Release Salesforce have made many feature enhancements to follow privacy preferences. There are three major enhancements which we are going to highlight. i. Merging Records – Salesforce has introduced this feature to determine which data privacy record to retain while merging records. This can also be overridden by selecting “Retain the most recently modified data privacy record” in settings. ii. Individual Object – Currently, the individual object has limited functionality, where you can’t add buttons, actions, record types, or communicate with automation tools. After this release, individual objects will support standard object features. iii. User Data Scramble – If a user wants to take out their entire data from the Salesforce ecosystem, it is now possible with the help of Apex method. This completely scrambles the user’s data and replace it with few random character strings. Though the user’s page will remain present, the fields won’t contain any meaning. Two years back, when Salesforce introduced Lightning platform, it got mixed reactions. Today lightning is one of the Salesforce’s best innovation. Summer ’18 Release will help admins in many ways to get the best out of lightning components. There are multiple lightning enhancements. The best parts are now you can encourage your users to use lightning platform & can even influence them by offering them tips on why they should switch to lightning experience. You can now even monitor how users are interacting with the help of lightning usage app. i. lightning:insertImageButton: This component can be used as a sub-component within the lightning:inputRichText component. This will open the native file browser, from where you can select any image to upload and can also insert the image inline in the text area. ii. lightning:navigation: This creates an URL for the given pageReference object, which indicates a page’s type, attributes, and state. iii. lightningsnapin:minimizedAPI: Allows UI customization for the minimized Snap-ins Chat. iv. lightningsnapin:settingsAPI: Allows access to the Live Agent button ID and Live Agent deployment ID for use in the custom pre-chat and minimized components for Snap-ins Chat. v. lightning:recordForm: This component makes it easy to create record forms rather than building them manually with lightning:recordEditForm and lightning:recordViewForm. Now you can view all the information you want at a glance. The newly introduced enhanced List View for reports and dashboards allows you to decide which columns to show, sort, or resize and how the text columns will appear. 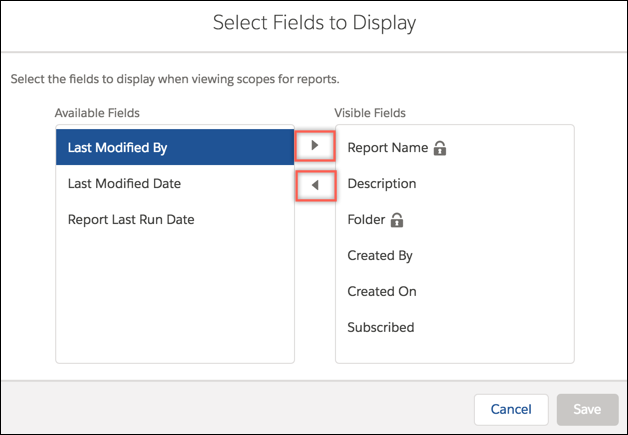 There are few new default columns like Report Last Run Date which will help you to find out which reports have been accessed most recently and which reports are not being used for long. You don’t have to switch to Classic in order to use detailed list view filters. In this release, you can now find important data in your list views with more detailed filters in lightning experience. You can now stay at the top of your accounts, contacts, leads, opportunities, and objects by accessing the most information. You can now filter Accounts by territory, Contacts by campaign, Leads by queue and campaign, Opportunities by territory, and Custom objects by a queue with the help of these new detailed filters. Now while searching an object, you can choose any searchable object from the dropdown list next to the global search box. You can enter your search term and both instant results and full search results are limited to that object. You can focus your search to any searchable object simply by choosing the object name in the dropdown. The frequently used objects will appear at the top, followed by the entire list of searchable objects in alphabetical order. In Summer ’18 Release, there are many exciting additions to the Lightning UI allowing users to personalize their app even further. Below are few UI enhancements Summer ’18 Release is coming with. i. You can personalize the navigation bar by clicking the pencil icon on the right side of your Lightning app. ii. You can now customize your theme with image cropping and color overrides features. In this release, Salesforce has introduced a handing image cropping tool which will help you to change logo size to make it more proficient. iii. If you have an existing My Domain sub-domain, you can now rename it without the help of Salesforce Support team. My Domain allows you to highlight your brand identities so that you can change it whenever your company’s name, logo, or branding changes. i. Sharing sets are now available to Customer Community plus and Partner Community licenses. ii. Now you can update Community Themes quickly by selecting from a library of pre-built themes and with the help of new controls in Community Builder, you can customize them with clicks without using any codes. iii.CMS connect (JSON) is now SEO enabled and bring you authenticated JSON content from any server into communities. iv. You can now select multiple community members and post on their profile pages using engagement queue. 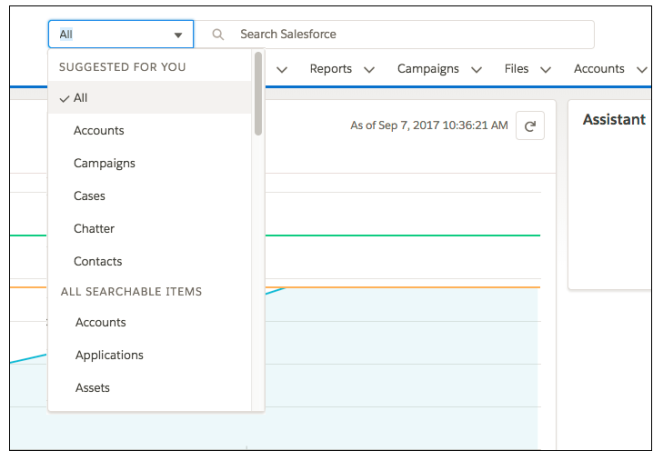 This post has highlighted what are the new features and functionalities Salesforce is introducing in its upcoming Summer ’18 Release, particularly in GDPR, Lightning & UI enhancements. However, there is a huge list of other features and functionalities which Salesforce has introduced. In our next posts, we are going to highlight few other takeaways from Summer ’18 Release. Stay tuned ! !